Chelatna Lake offers a gateway to some of the finest rainbow trout and grayling fishing in the state. Our location provides for a variety of fun adventures and unique opportunities that only Chelatna Lake can provide. At Chelatna Lake Lodge we combine world-class Alaska trout fishing, luxurious lodging, delicious cuisine, and personal, friendly service to offer you the Alaska vacation of a lifetime. Your remote lodge experience will be unparalleled. Fly-fish for Alaska rainbow trout along a pristine mountain stream, go hiking and view spectacular Denali National Park, boat around and explore one of Alaska's most beautiful settings, or simply relax and take a lakeside sauna and swim. 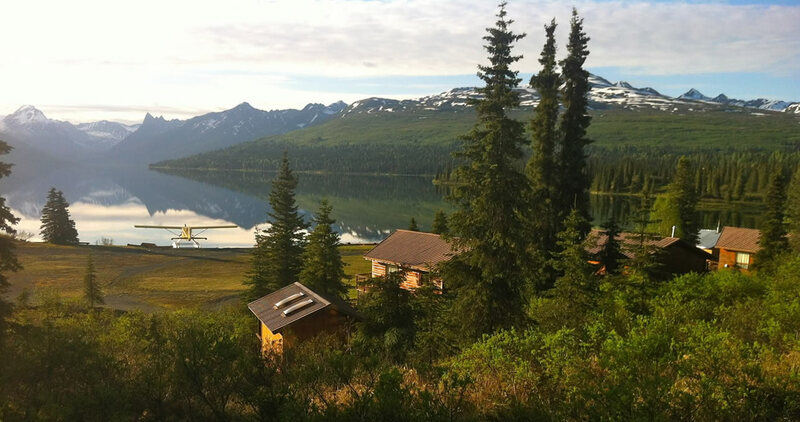 Chelatna Lake Lodge is one of Alaska's great adventure destinations.